One Eternal Day: "No theology here..."
.... Bonhoeffer’s second visit to the United States lasted only twenty-six days. The reason was in part theological. Union was committed to a form of religious liberalism fully at odds with the fundamentalist versions of Protestant faith growing in places such as Oklahoma and Georgia; but if Niebuhr and his colleagues thought that in welcoming Bonhoeffer they were adding another liberal modernist, they were quite mistaken. 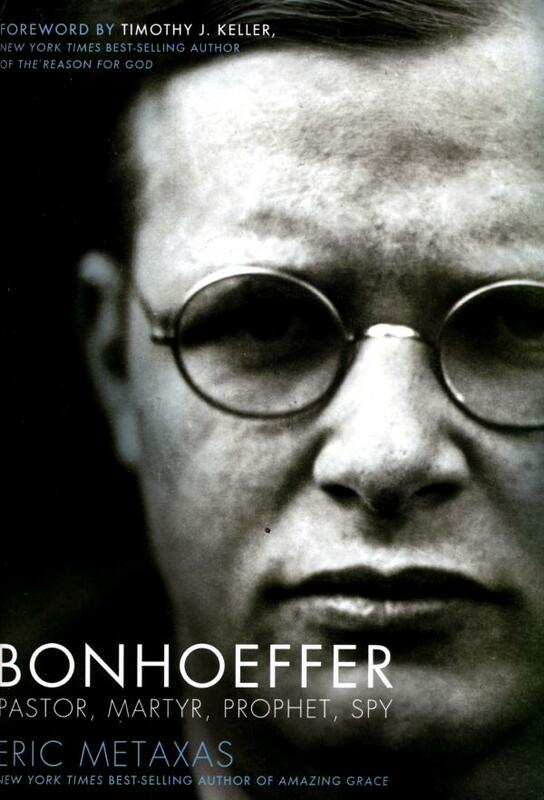 Bonhoeffer simply could not abide the liberalism he found at Union. On his earlier trip to New York, he had written home that “there is no theology here.... They talk a blue streak without the slightest substantive foundation and with no evidence of any criteria.” The only church that had moved him in New York was the black church, and in particular Abyssinian Baptist, where Adam Clayton Powell Sr. was the pastor. Once he discovered Abyssinian, Bonhoeffer spent every remaining Sunday of his youthful sojourn in Harlem teaching Sunday school and absorbing the living presence of Christ in its midst. Upon his return to Germany, he brought with him records of black gospel music that he played to his European friends every time he could. Wolfe's approval of the book and his obvious admiration for Bonhoeffer leads him, later in the review, to reflections on faults of both liberalism and contemporary evangelicalism. And also reflection about his own convictions. He does however manage to avoid the implications in the final paragraphs of the review.